I had this conversation recently with a man named Jim who is a member of another Christian denomination. The topic of monasticism was started by the news of the canonization of the nun Mother Theresa of Calcutta by the Roman Catholic Church. In Jim’s view, she is an example of a good nun, that is, one who went out and helped people rather than living behind the walls of a monastery. Do you have monks and nuns in your church? …..unless they’re out helping people like Jesus did. Monasticism: the way of life of monks and nuns, is at the very heart of our Orthodox Faith and is the foundation of spirituality for all Orthodox Christians: priests, monastics and lay people. In fact, the very spiritual center of Orthodox Christianity is Mount Athos: a remote peninsula which is an autonomous part of Greece. It is the home to 20 ancient monasteries, many over 1,000 years old and numerous smaller sketes and hermitages. One of the bright lights to shine forth from this region is a recently canonized saint who has become well known throughout the world – Staretz (Elder) Silouan of Mount Athos. At first I thought of giving in to the fellow but then I was ashamed of how the girls would laugh at me, so I hit him a great blow to the chest. His body shot away and he fell backwards with a heavy thud in the middle of the road. Froth and blood trickled from his mouth. All the onlookers were horrified. So was I. “I’ve killed him,” I thought, and stood rooted to thespot… It was over half an hour before he could rise to his feet. church for vespers and will be at prayer all night. And I’m wondering which of us will put up the best defense before God’s Judgment Seat – them or us? 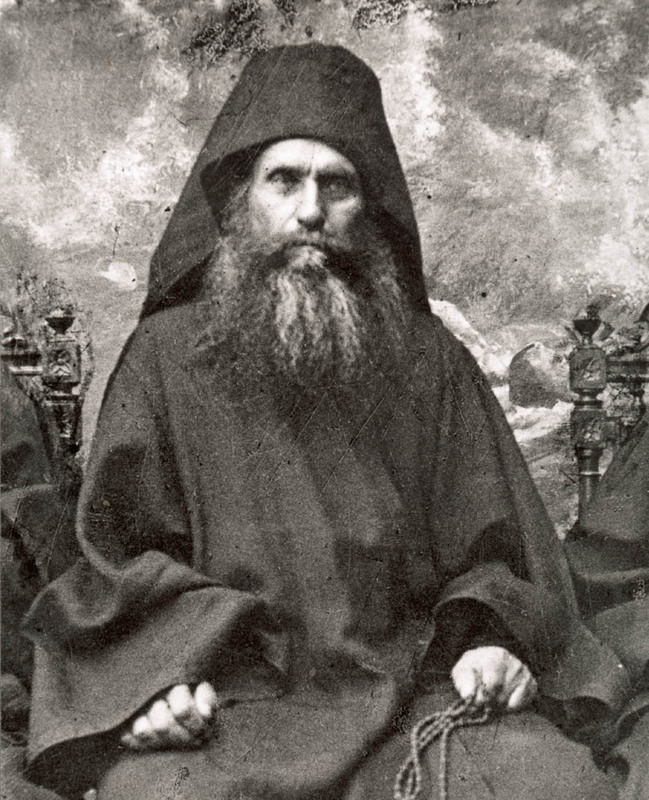 At the age of twenty-seven in 1892 he left his native Russia and came to Mount Athos, where he became a monk at the Monastery of St. Panteleimon and was given the name Silouan, the Russian version of the Biblical name Silvanus. He was given the obedience (work duty) at the monastery mill, sleeping little, fasting severely and praying continually. He struggled against sinful memories from his past life and practiced the Jesus Prayer. Though barely literate, he received the grace of unceasing prayer and saw Christ in a vision. After long years of spiritual trial, he acquired great humility and inner stillness. He prayed and wept for the whole world as for himself, and he put the highest value on love for enemies. He was never ordained to the diaconate or priesthood but continued his ministry as a monk in which he devoted himself to praying for all people. A monk is a man who prays for the whole world….. I tell you that when we have no more men of prayer the world will come to an end and great disaster will befall – as, indeed, is happening already. He who has the Holy Spirit in him, however slight a degree, sorrows day and night for all mankind. His heart is filled with pity for all God’s creatures, more especially for those who do not know God, or who resist Him, and therefore are bound for the fire of torment. For them, more than for himself, he prays day and night, that all may repent and know the Lord. Father Silouan died in the monastery after an illness on September 24, 1938. He was glorified by the Ecumenical Patriarchate in 1987 and his relics are enshrined in the St. Panteleimon’s Monastery on Mount Athos. His writings were edited by his disciple and pupil, Archimandrite Sophrony who later established a monastery in England and became known as a staretz himself. In Jim’s view, the life of monks and nuns are only worthwhile if they are “doing something”, that is, ministering to the people of the world in an active way. Unfortunately my friend was Biblically illiterate and did not know the story of Mary and Martha, the sisters of Lazarus. One day Jesus was visiting in their home and Martha was busy with preparing and serving the food while her sister Mary just sat at Jesus’ feet and listened to His words. How did Jesus respond? According to Jesus, Mary who sat with Him and listened to Him had chosen what was most important and needed. Certainly our Lord knew that someone had to prepare the food and as a man he felt the pangs of hunger but He was emphasizing that a person can become so busy doing things for God that they forget simply to be with Him and to love Him. This is a danger especially for clergy who can become so busy doing ministry that they neglect simply to be quiet with their Lord. Being with the Lord in prayer is vitally important because through it we connect with Him who is the source of peace, the source of love, the source of strength, the source of life. The world needs Marthas but the world also needs to appreciate and value Marys, which my friend Jim failed to understand. 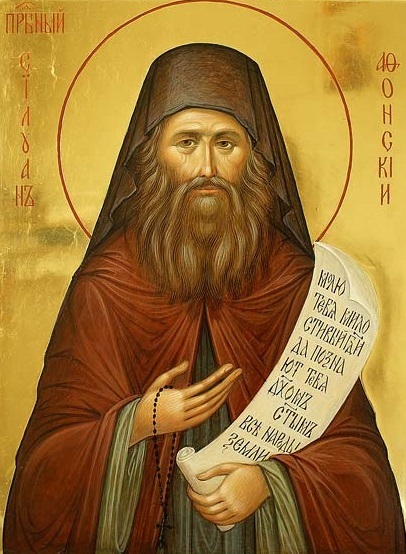 One of the best illustrations of the importance and role of monasticism is found in the teachings of a recently canonized saint of our church: St. Paisios of Mount Athos. The army has many divisions and each one fights from its own position; the navy at sea, the airplanes in the air and the army on the land. A very specialized position is the one of the radio operator. His main characteristic is that he connects all the army divisions with the headquarters, which send help in case of emergency. The radio operator must not be close to the combat zone, but higher up in a quiet place, so that he may clearly transmit the messages. When the soldiers fight and are in danger, they should not say to the radio operator: “What are you doing up there? Come and fight with us.” His duty is to stay where he is and receive orders from headquarters, and keep them up to date regarding the outcome of the combat.